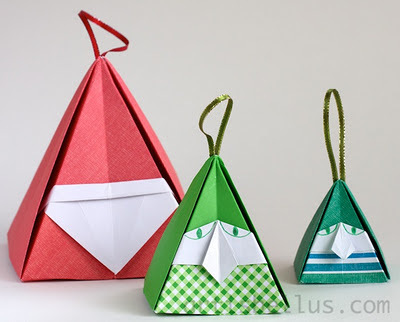 This is another example of how to decorate with origami. Origami corrugations can be used as flower vase covers. If folded from translucent, nonflammable paper, they can also be used as lampshades. This Flower Vase Cover was folded with a 12" (300 mm) square of black cardstock that I had first decorated with Perfect Pearls Mists 2 Oz. Spray Bottle: Pewter , to get a pearlescent shimmer. 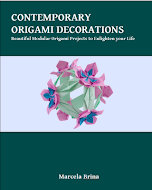 The model is from the book, Home Decorating with Origami , by Tomoko Fuse. Very nice, the paper you used there looks great.